Banana with Madras curry, sage and red onion; carrot and purple basis; cinnamon-flavoured baked apples with hibiscus flowers and almond dragées; porcini mushrooms with lemon, thyme and olive oil; turnips with tomato and egg ... these are just a few of the intriguing recipes the top French chef Alain Passard presents in his book The art of cooking with vegetables. "Nature wrote the best cookbook"
Banana with Madras curry, sage and red onion; carrot and purple basis; cinnamon-flavoured baked apples with hibiscus flowers and almond dragées; porcini mushrooms with lemon, thyme and olive oil; turnips with tomato and egg ... these are just a few of the intriguing recipes the top French chef Alain Passard presents in his book The art of cooking with vegetables. 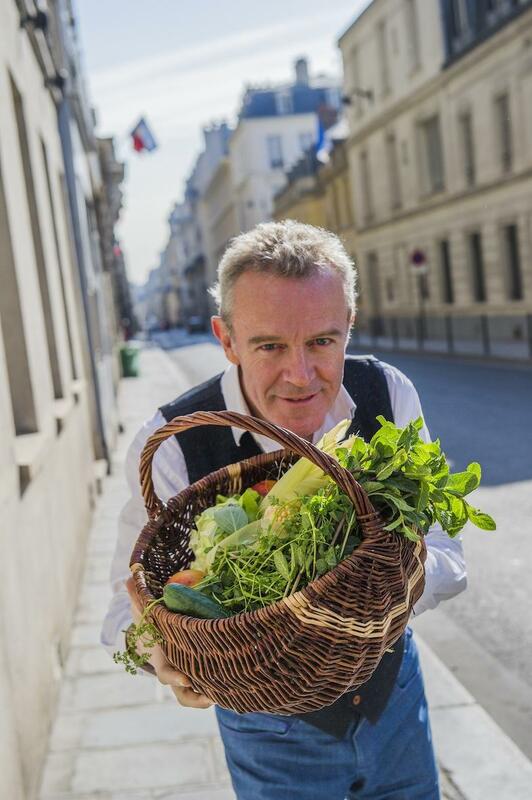 At the age of 58, Alain Passard is one of the most famous chefs in France and a legend in his own lifetime. Passard has been running the internationally renowned restaurant l'Arpège in Paris for nearly 30 years. He bought the restaurant l'Archestrate in Paris from his mentor Alain Senderens, renamed it l'Arpège (Arpeggio) to reflect his love of music and redecorated the interior in Art Deco style. L'Arpège opened in 1986,and had won three Michelin stars by 1996. In 2001 Passard shocked the food world by banning red meat from his restaurant and introducing a menu based largely on vegetables together with some seafood. To make sure he gets fresh fruit and vegetables of the highest quality and in the right season, he set up three organic ktichen gardens in the region surrounding Paris, each with a special soil signature to suit particular products: sand at Fillé-sur-Sarthe near Le Mans for carrots, asparagus and leeks, clay at Bois Girault near Buis-sur-Damville in the Eure for celeriac and cabbage alluvial soil from the Manche for aromatic herbs. When news of his new departure spread, the French media showered him with often extravagant epithets: vegetable lover, vegetable craftsman, vegetable virtuoso .... and even asked on ther basis of his wide-ranging skills whether he was a "living god" (dieu vivant). Alain Passard was born into a musical family in the little town of La-Guerche-de-Bretagne in Brittany on 4 August 1956. His father played the clarinet, saxophone and drums, while his mother was a seamstress. Alain himself has played the saxophone for years, as a hobby. Music is his greatesat passion in life, apart from nature. His grandmother Louise Passard helped Alain to take his first steps towards the art of cooking while he was still a young boy. She passed on culinary secrets to her grandson while they sat together around the fire in her kitchen. Alain learned the fine points of her cooking skills in no time, and put them into practice. Louise passed on her love of fine cooking to Alain and together they enjoyed the frenzy of buying the right ingredients at the market, the fever of preparing, mixing and cooking them and all the other details that make a meal a memorable event. Nature is his most important source of inspiration, or, as he likes to put it: "Nature wrote the best cookbook, I simply follow the seasons and use what grows from the soil." 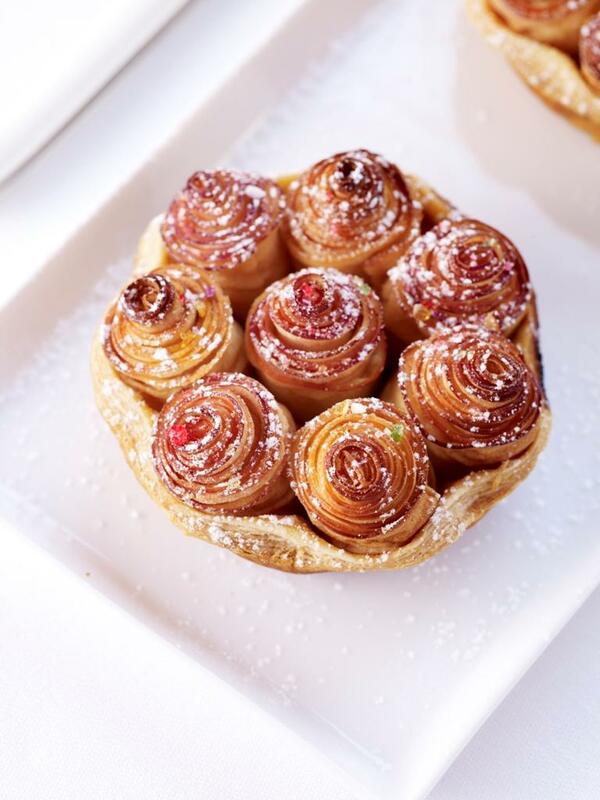 Just like his grandmother, Alain has the imagination needed to transform a simple apple pie into an exotic "bouquet of roses". He was apprenticed to the local baker in La Guerche at the tender age of 10, and by the age of 15 he was already working in the kitchen of the Liuonb d'Or, the restaurant run by Michel Kerever - one of the first Michelin-starred chefs in Brittany at the time. He gained a lot of professional experience there, and was exposed to the basic elements of classic French cuisine - making sauces, slicing ingredients, and the fundamentals of banquet service. He also took advantage of the opportunity to do own research on such matters as poultry chaud-froid, the preparation of rock lobster Bellevue and cream puff cakes. From 1975 to 1976 he worked at the 3-star La Chaumière restaurant in Reims under Gaston Boyer, who adhered to a strictly traditional style of classical French cuisine. Alain's varied experience taught him the importance of a good touch. He got his first two Michelin stars at Le Duc d'Enghien at the Enghien Casino on the outskirts of Paris, when he was only 26. He was vey proud of this achievement. He then moved to the Carlton in Brussels in 1984. Since then, he has built up a big reputation in the culinary world, and many chefs have been inspired by his approach. During his early years at l'Arpège, he was regarded as a maître rotisseur. Then, as mentioned above, he shifted radically away from meat and focused on vegetables, at the same time changing from the red wines he had preferred to mineral-rich white wines. Naturally, not all customers appreciated this change, and it took some time for the Michelin reviewers to accept it. Nevertheless, l'Arpège kept its three stars, while it has also built up a new clientele where real meat-lovers have made way for vegetable fans. After many years of finding out the best ways of preparing meat dishes, Passard felt that he could no longer get the same creativity out of dead animals. The lack of colours and life started to weigh on him. That's why he decided to veer entirely away from his previous work and focus on vegetables. "Working with vegetables is one step towards replanting the earth"
Alain Passard: "I believe that I had made great advances in the realm of poultry ands red meat," he said, "and now I am longing for a different challenge, one which involves the exploration of the vegetable kingdom. It feels as though this incredible adventure is leading me right to the heart of my passion. Working with vegetables is, in a way, one step towards replanting the earth, tackling a new language, a completely different set of ideas."